The White House Monday again lowered its flag in McCain's honor. 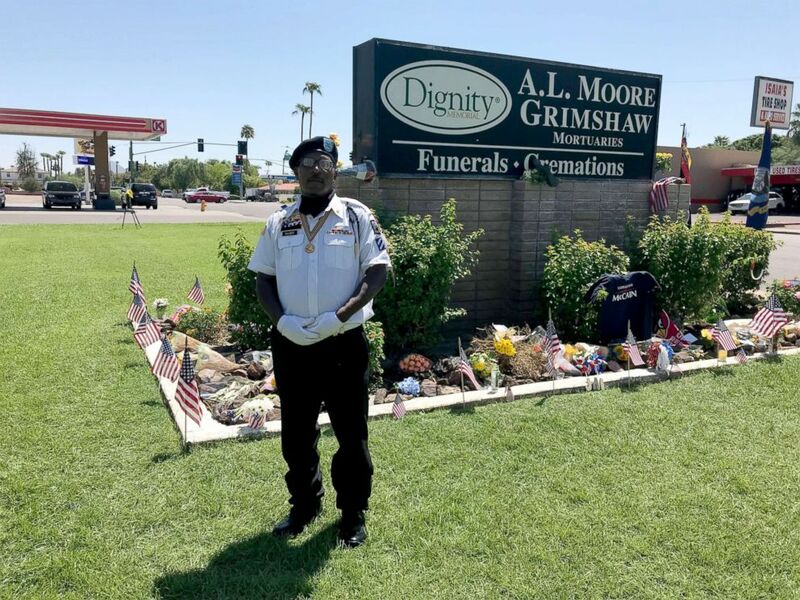 It’s 100 degrees and there are no trees to provide shade for Vincent Elliott, who is on his second four-hour shift standing beside the sign at the entrance to the mortuary where Sen. John McCain’s body is being held before the public viewing on Wednesday. Elliott is a veteran of the Iraq War and a member of the POW/MIA/KIA Honor Guard here in Arizona, and now they’ve been paying tribute to their fellow veteran and former senator. And it’s that pride in his service that's the source of his frustration with President Donald Trump’s reaction to McCain’s death. (Meghan Keneally/ABC News) Vincent Elliott is a member of Arizona's POW/MIA/KIA Honor Guard and is currently volunteering outside of the mortuary that is holding Sen. John McCain's casket until it's public viewing. 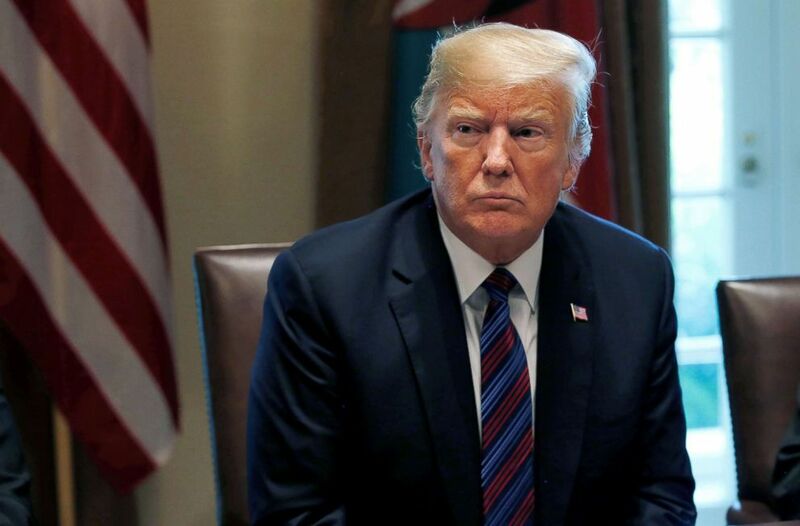 Trump’s tepid reaction to McCain’s death is not surprising to some given the publicly acrimonious relationship that the two men had before McCain’s death Saturday. Trump’s public response has included a two-sentence tweet of condolences to McCain’s family and a temporary lowering of the flag at the White House for little over one day as opposed to the traditional lowering until the deceased’s body is interred. 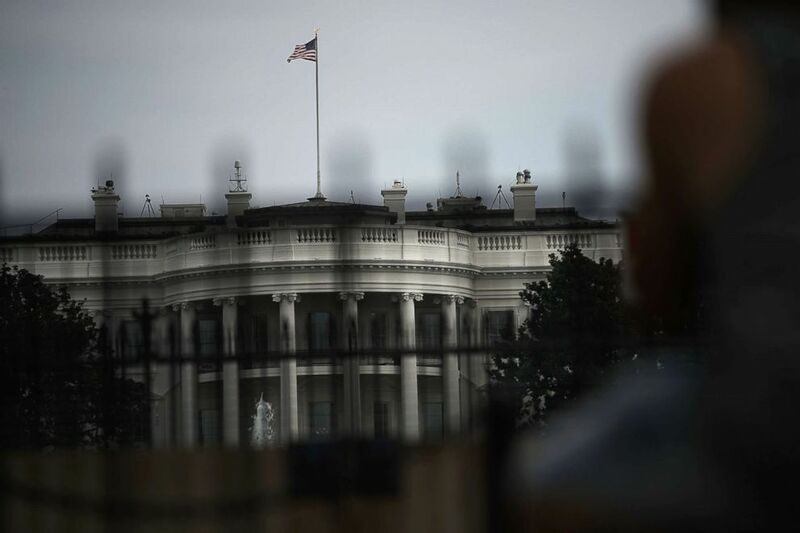 Monday afternoon, facing widespread criticism, the president ordered the White House flag again flown at half-staff until McCain's internment. (Alex Wong/Getty Images) The American flag at the White House flies at full staff, Aug. 27, 2018. Sen. John McCain (R-AZ), a decorated American war hero, died August 25, 2018 at the age of 81, after a long battle with brain cancer. Elliott is one of several Arizonans who spoke with ABC News about their disgust with the president’s reaction. Pat Hawks, a longtime Democrat who lives in Bisbee near the southern border, said that she cursed at her dog when she heard about the raising of the White House flag Monday morning. “The tweet had nothing to say about John McCain and the putting up the flag to full mast before he’s even buried in Annapolis – it’s egregious and unforgiving,” Hawks said. Cooper Miller, a Republican who has already mailed in his ballot for Kelli Ward ahead of Tuesday's primary to fill retiring Sen. Jeff Flake’s seat, is a fan of Trump and while he expressed some misgivings about the handling of the White House flag, the president’s reaction doesn’t bother him too much given his tense relationship with McCain. “President Trump should have kept it lowered or whatever … I’m not all that disappointed about it. I do appreciate him being honest rather than overly sycophantic about it but he could have done a few things more to show respect for such a war hero,” Miller said. “I appreciate that he was genuine and nice to the family but the fact is is that he and McCain were kind of enemies so I kind of appreciate that he wasn’t sycophantic,” he said. (Leah Millis/Reuters) President Donald Trump meets with Kenya's President Uhuru Kenyatta in the Cabinet Room at the White House, Aug. 27, 2018. Marissa Speed, a fellow Ward-supporter from Arizona, agrees, saying that she thought Trump's condolence tweet was "diplomatic" and in keeping with his character. "I'm glad he didn’t say anything flowery because I would have said 'That’s hypocritical,'" Speed told ABC News. "I think McCain made it clear he doesn’t want him at the funeral, so why would he pretend to say something that he doesn’t feel? I am fine with it," she said. Arizonans across the Copper State will continue to mourn their six-term senator, both publicly with the arranged events on Wednesday and Thursday, and privately. Republican cattle rancher John Ladd told ABC News that he met McCain multiple times through the years, and though they had their differences, he admired McCain greatly. “I didn’t agree with his immigration stance but as a person, I had the utmost respect for him,” Ladd said. Editor's note: An earlier version of this story used the incorrect state nickname for Arizona. It has since been updated.